The inscription on this sundial indicates at which kind of monastery you can see it. “Ora et Labora” is the motto of the Benedictines. The depiction in the middle gives a hint to the place. 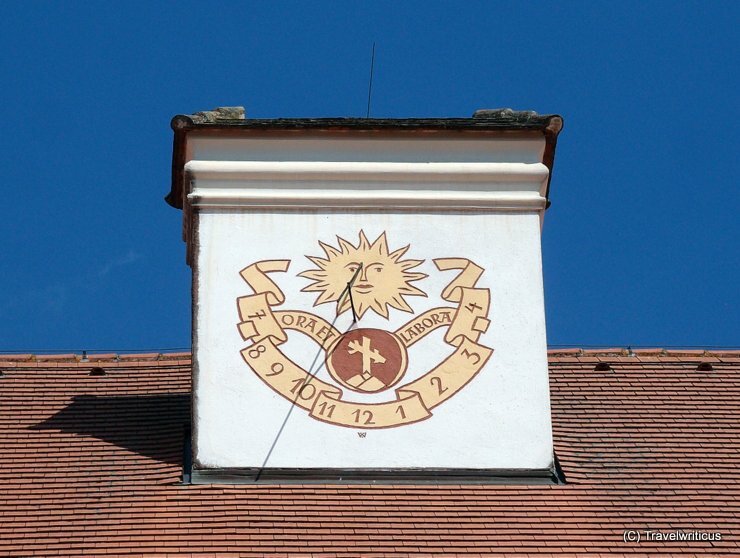 You can find this element in the coat of arms of Seitenstetten.